Anyone that knows me knows that Christmas is my favourite time of year. 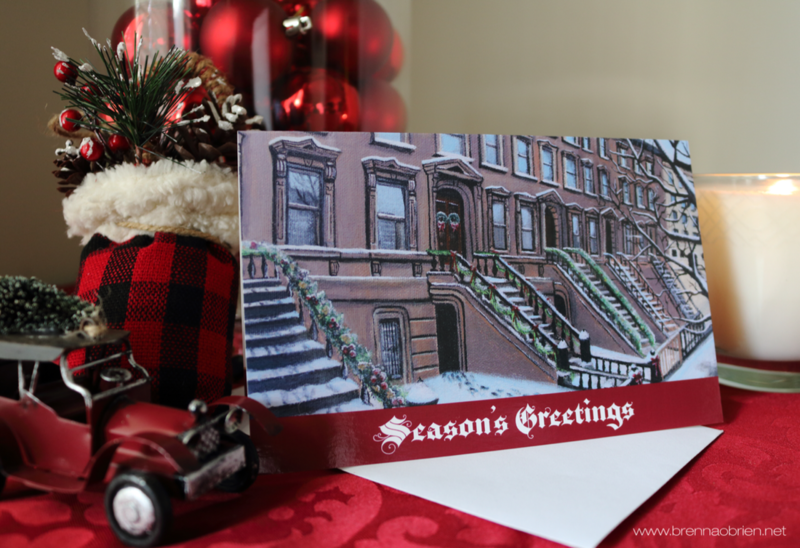 The traditions start on American Thanksgiving by watching the Macy's Day Parade and goes on every day leading up to Christmas by watching movies, driving around to look at Christmas lights, listening to Christmas music, decorating and sipping on eggnog. 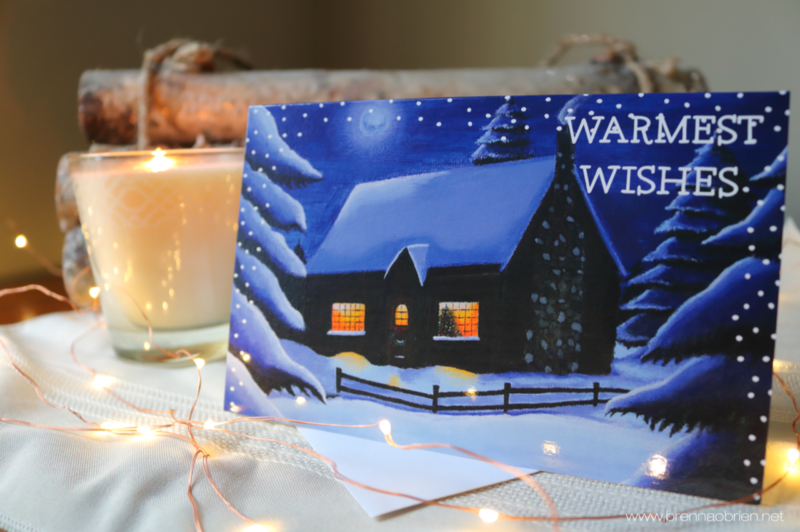 So it only seems natural to take some of my favourite holiday themed paintings and make Christmas cards! I've created three different ones to choose from so feel free to mix and match. 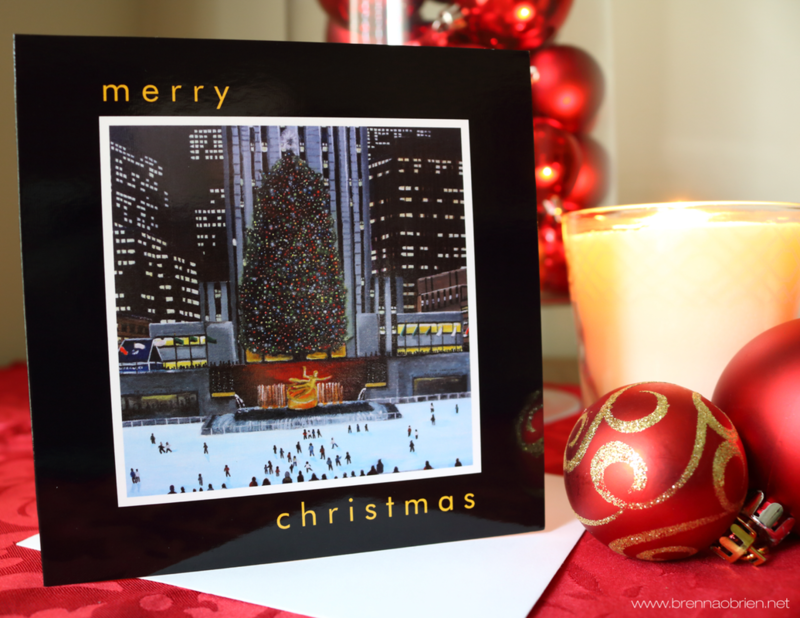 Please send an email for pricing and shipping information. As you can see from my paintings, most of my work is of vintage Vegas or New York City. 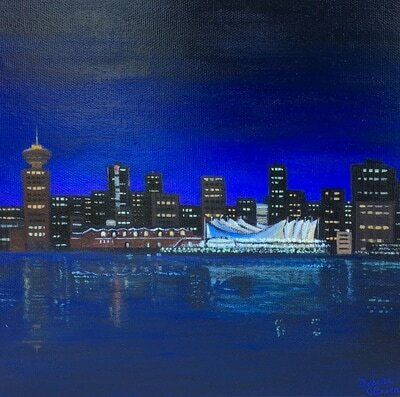 These cities have so much colour and vibrancy that I can't help but paint them. 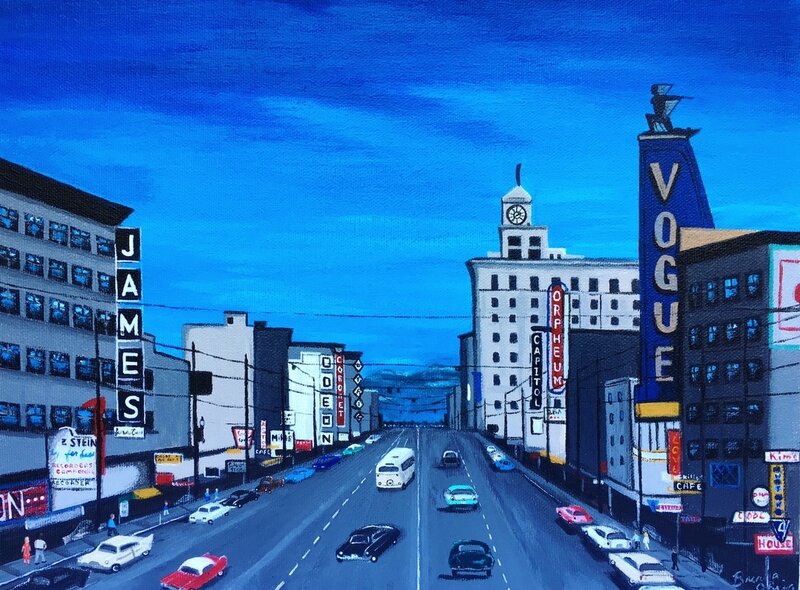 But I've been asked by many people to paint some more of the city of Vancouver so here are a few. Sometimes you don't even see the intricate beauty that's right in front of you. 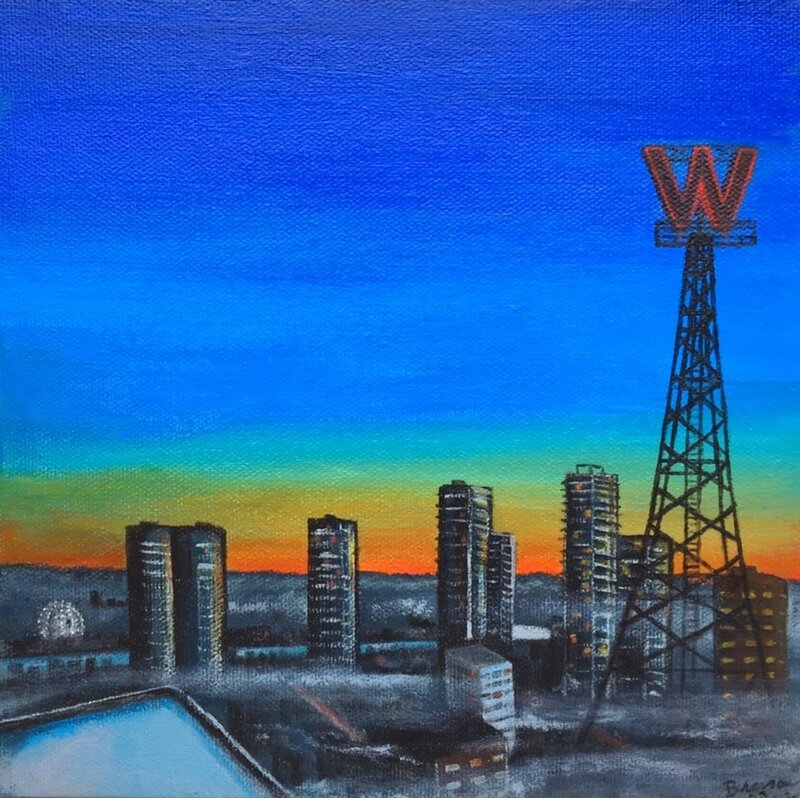 There are many buildings and iconic sites in and around the city, hidden gems that are tucked away between state of the art towers, but if you look close enough, you can find them. 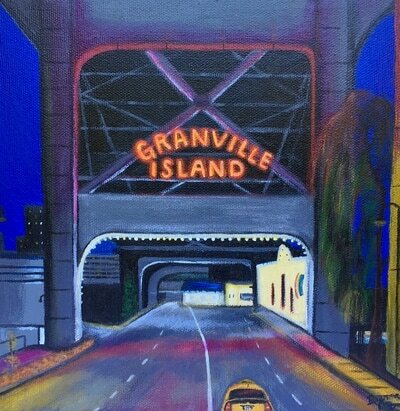 Like the never changing entrance to Granville Island, the pristine Five Sails that greet the cruise ships as the enter the harbour, the big red 'W' that symbolized Woodward's Department Store and, the most famous street in Vancouver, Granville Street back in the 1960's. Congratulations to Caesars Palace Las Vegas as it turns 50 years old this year. That might not sound very old but in terms of Vegas hotels, it's old! Caesars is one of the few iconic hotel casinos still standing and I hope we get to see it celebrate another 50 years! Another iconic hotel in Vegas has disappeared from the skyline. 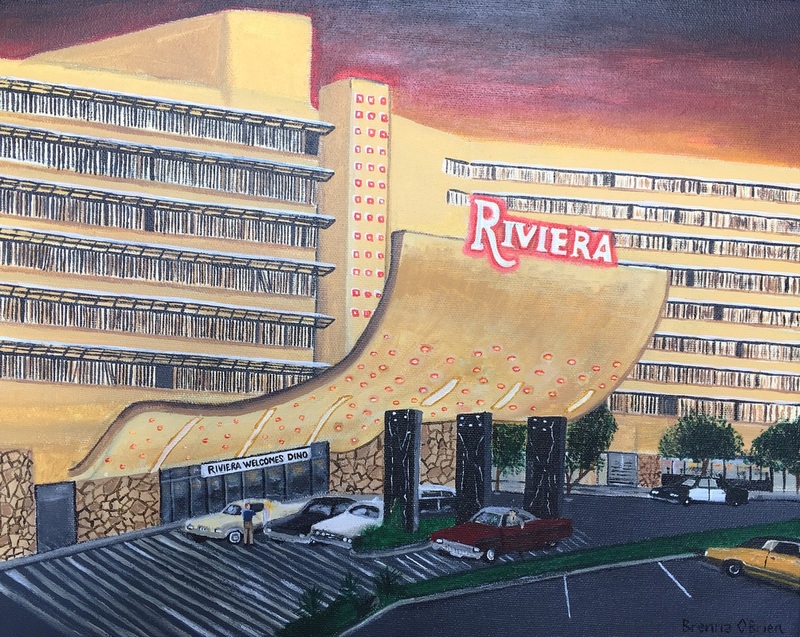 In June, the landmark Riviera Hotel was imploded. Many of the new hotels are beautiful and have so much to offer but I can't help feeling a little bit sad every time another "hot spot" from the 1950s and 1960s disappears. "The Riv" was home to Liberace for many years and, while the look of the hotel changed a lot over time, it was still, and always will be, one of the most famous resorts in Las Vegas. Here's to you, Riviera! 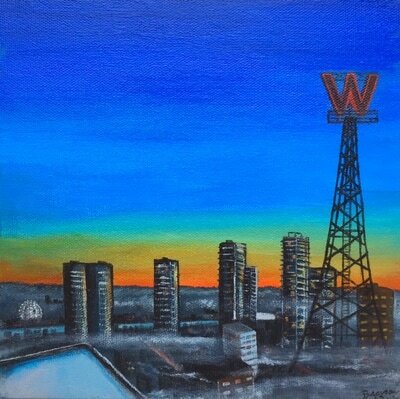 I officially sold my first painting this week! My "Granville Street 1965- Vancouver" has found a new home in Calgary. 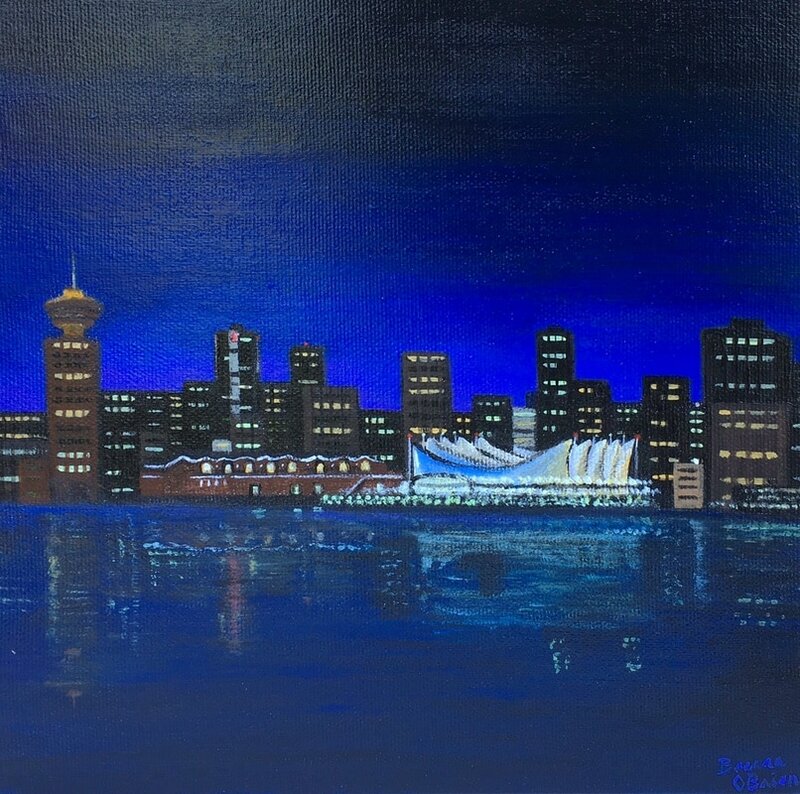 I really appreciate all of the kind words and positive feedback that I've been getting from everyone regarding my artwork - it means a lot - and a special thanks to the new owner of the Vancouver piece. 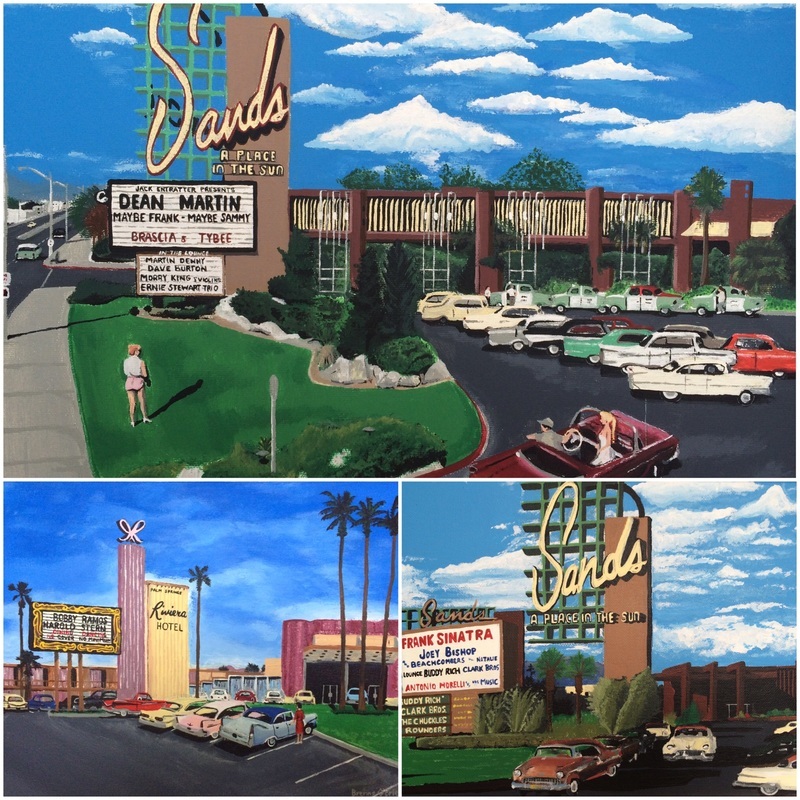 Currently I am working on a really cool piece of an iconic building in Los Angeles and I have just finished another 1960's era painting of the Riviera Hotel in Palm Springs. 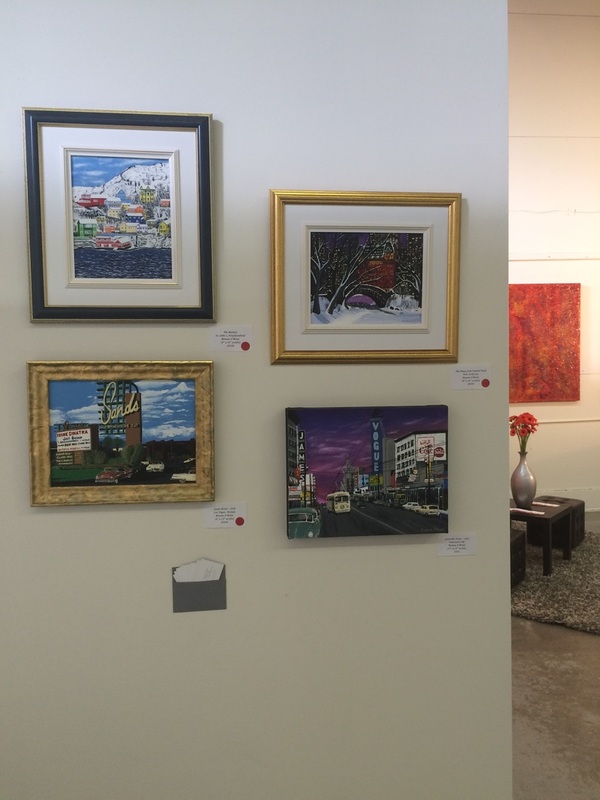 I had my very first art show this past weekend at the North Shore Art Crawl. It was a great learning experience and was so much fun meeting other participants and visitors to our showing. Thanks to everyone that came out to support the show and a special thanks to my fellow artists - Caroline Liggett, Janice Beaudoin and Mary Stuart - for inviting me to join your group, The Summit.